Kuttanellur Bhagavathy Temple, located at Kuttanellur in Thrissur, is famous for the annual Pooram festival known as Kuttanellur Pooram. Dedicated to Goddess Durga, the annual seven-day festival starts with the Pooram Purappadu and ends on the Pooram asterism in the Malayalam month of Kumbham (February - March). 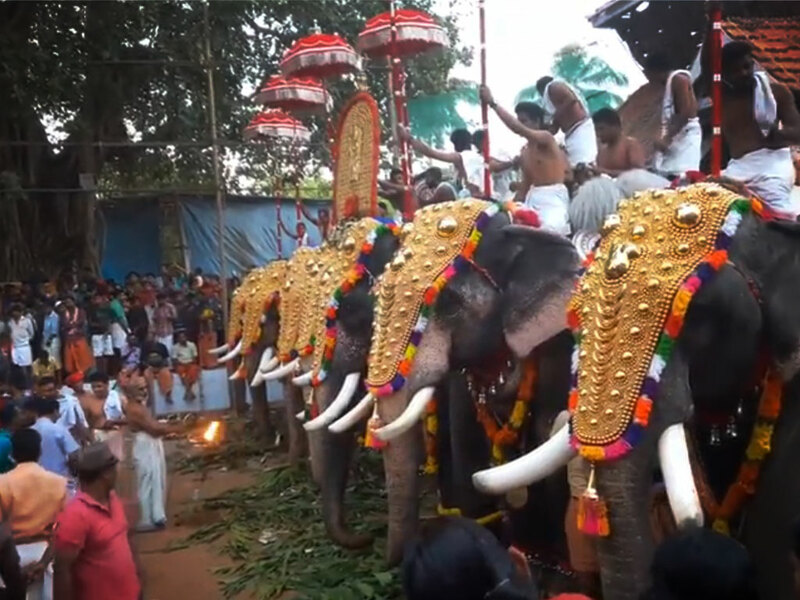 A ritual named Pooram Paatu is conducted on the next day after the Pooram celebrations and is believed through this offering the Goddess enters the Sreelakam. 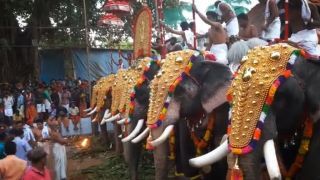 The highlight of the pooram festival is the pageantry of caparisoned elephants and the melam (percussion ensemble). During festival days various performances of art forms and musical renditions will be held on the temple premises.